Our very popular tailored courses are delivered at your premises throughout Australia, New Zealand & Asia. Customer service protocols for a variety of real workplace interactions with both external and internal customers. We ask that a senior manager or team leader be present throughout the training so we can guarantee that the training meets with your firm’s guidelines and policies.  Very popular course covering the fundamentals of customer service and the need for personal responsibility on the part of your staff members. Telephone & email interactions with customers of varying backgrounds, roles and manners. Great techniques your team will use every day. Specific targeted training to ensure your technical staff are able to converse in a professional way with people who may not always be as technically savvy as they are. We teach numerous techniques for minimising call times and answering often basic simple IT related questions in an engaging and genuine way. Techniques for dealing with more senior technical personnel are also covered. We also cover the things we tell our customers as well as those issues we don’t raise with them. Very popular with large IT help desks nationally. Equally suitable to telephone, email and face to face interactions. Deals with moderate to major customer hostility and techniques geared to ensure that the outcome is strong and your team members leave the issue at the office. Great interactive training with real workplace issues and personalities covered in detail. Also covers the use of staff of negative phrasing and triggers that can inflame issues. Learn how to ensure your department operates at maximum efficiency. Covers techniques for dealing with the personality mix in your team and controlling attitudinal issues both with team mates and customers. The course which is offered as private or small group coaching teaches time management and a myriad of essential techniques.